"Whew. For a minute, I thought I'd forgotten the garlic press." 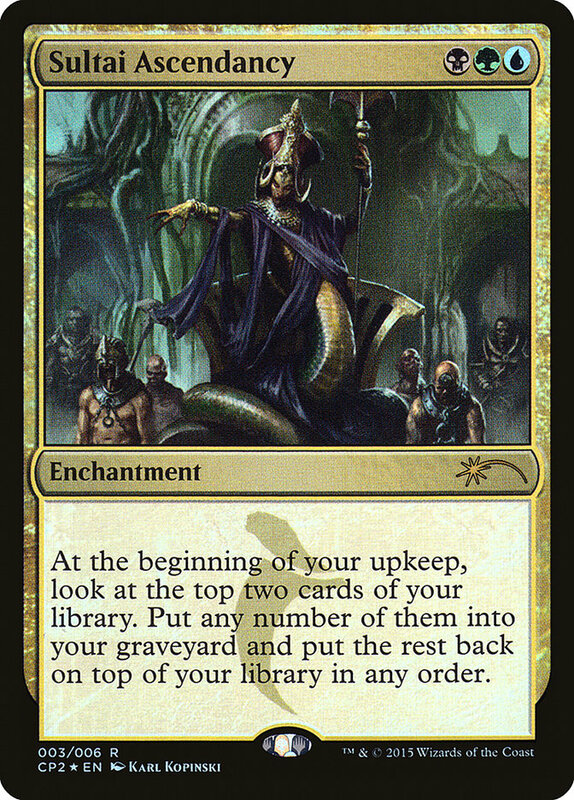 0: Look at the top card of your library. 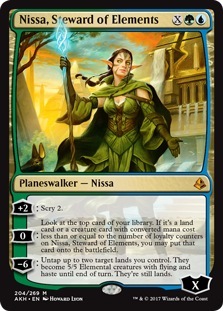 If it's a land card or a creature card with converted mana cost less than or equal to the number of loyalty counters on Nissa, Steward of Elements, you may put that card onto the battlefield. −6: Untap up to two target lands you control. They become 5/5 Elemental creatures with flying and haste until end of turn. They're still lands.